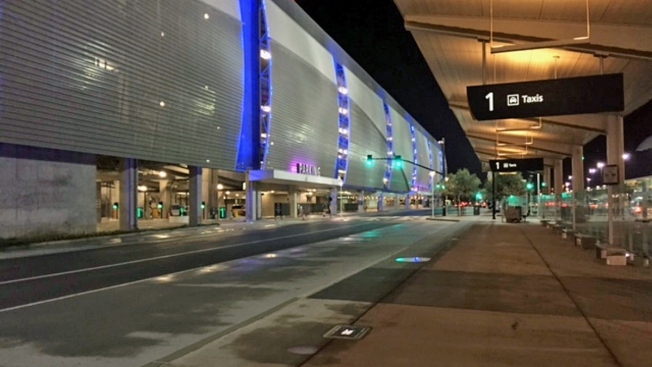 File photo of Mineta San Jose International Airport. A 62-year-old airline worker who was hit and killed at Mineta San Jose International airport last week has been identified as Mary Lo-Wong of San Jose, according to the Santa Clara County medical examiner's office. Police responded at 1:11 p.m. on Feb. 25 to the airport at 1701 Airport Blvd. on reports of a pedestrian who had been hit in the bottom level of Parking Garage 3 across from Terminal B. A 29-year-old man driving a 2018 Ford F-150 truck had passed through the entrance gate driving south when he hit Lo-Wong, who was pushing a luggage cart west through the parking lot. She was taken to a hospital with life-threatening injuries and died on Thursday. Lo-Wong was remembered on social media as an "angel" and "mother" to her co-workers. "You were full of light and energy whenever you were around," Facebook user Manwel Awwad wrote. "Your presence cannot be replaced and we are left with emptiness without you." The man driving the truck was an airport employee, airport officials said. He remained on scene and cooperated with police. Officers do not believe alcohol or drugs were factors in the crash. "Last Monday, there was a traffic accident at SJC involving an airport employee and an airline employee," airport spokesman Scott Wintner said. "Sadly, the airline employee did not survive the injuries she sustained in the accident." The airport did not specify which airline Lo-Wong worked for. Her death was the city's eighth fatal collision of the year, according to police.